Because there’s no business like your business. From small sole-proprietorships to large businesses and institutions, we’ve got you covered. 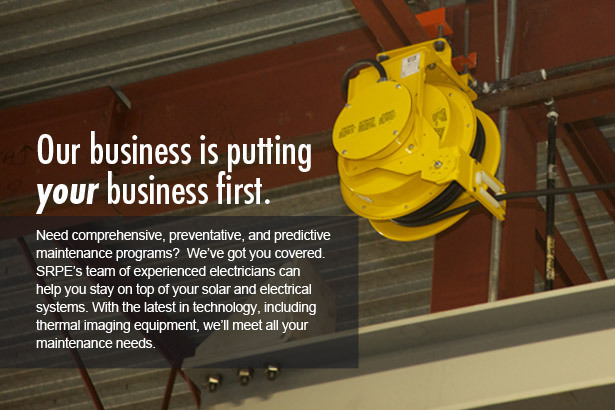 With a proven combination of experience and training, we can help your organization with all of its electrical needs. Whether it is a simple service call, an upgrade to the newest in sustainable technology or a complex engineering design for a large factory or warehouse, our team of experts will deliver fast, efficient, and effective service. To see just a few of our successful commercial projects click here. Sustainability is just smart business. Looking for the latest information on energy efficiency grants for your business? Seeking guidance on overhauling your electrical power sourcing? Contact our team of experts. We can help you save both energy and money.